I'm an avid follower of Soldersmoke and builder of sorts. I began as a ham operator in 1965. My parents claim I was born with my hands wrapped around a soldering iron. As you may have noticed, the Michigan Mighty Mite has become a popular rage thanks to Bill and Pete and the Soldersmoke gang. They have encouraged a great number of individuals to study, build and learn. 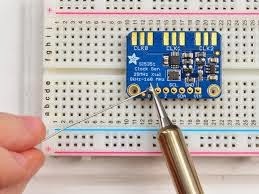 The basics of a simple one transistor transmitter can be a key element to creating, inventing and pushing the brain to greater understanding. When I was first licensed I was encouraged by a fellow ham. This wise man, was way more senior than myself and out of kindness, he sat me down in front of his workbench and grilled me on the key components and reasons for adding a Low Pass Filter in radio transmission. Following the lecture, he pulled the parts for the filter from his cabinet and said, "Now build it!" Fifty years later, that same nurturing education is still with me and our hobby. When I was in New England in the 1970's & 80s, I became friends with Ted Gent, G3ODG. He was a good friend and a real inspiration to art of build. We have long since lost contact with each other however, Ted helped me along as I ventured into solid-state homebrew receivers. I have enclosed a photo of a similar one valve oscillator that I built when I was 15. So much thrill is derived when your hands construct a useful element of your radio shack. Greg is a VK6 Australian ham living permanently in Finland. 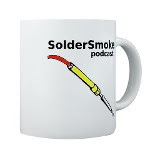 He has been a SolderSmoke listener for many years. Greg sent a nice picture and a video of his VK-OH Mighty Mite. FB Greg! With SPRAT 162 by my side, armed with an FT37-43 trifilar wound transformer, I popped open the RTL-SDR dongle. I had hopes of being able to solder two tiny wires to the unused input pins (3 and 4) but I quickly realized that I was NOT going to be able to do that -- they are far too small for me to work on. So I did what Ken Marshall G4IIB did: I took out the SMT caps going to pins 1 and 2 and soldered two small wires there. This will limit this dongle to HF only -- if I want VHF/UHF I'll just spend another $13 dollars! You can see the results in the video above. I used the yellow stuff to hold the wires in place. It was later removed. What makes this short video special is the fact that the music was all completely designed (composed) and homebrewed (played) by Pete himself. 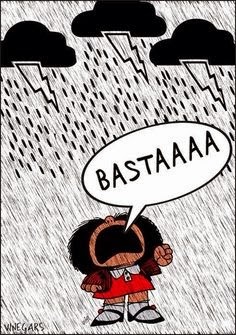 In Italian when one has finally had enough --the Hue and Cry is BASTA! I have been having some Basta Moments in trying to make Arduino 1.6.3 work with sketches developed in Version 1.0.5. So for some comic relief I decided to program a 240X320 Color TFT with a random pattern generator using the word Basta! Of course is was done in Arduino 1.0.5! I was recently commenting to Pete that I could use some gear that would give me a better means of checking the bandwidth of my transmissions. Pete. pointed to the latest issue of our much-loved SPAT magazine. Indeed on SPRAT 165 (Spring 2015) there is an article by Ken Marshall G4IIB on how use the RTL2832u R820T DVB-T "dongle" (USB stick) as an SDR receiver. I sent 13 dollars to Amazon. The device arrived yesterday. I followed Ken's instructions and soon I had the little device inhaling on 12 meters. It is really amazing. Lots of technology in a little box the size of your thumb! 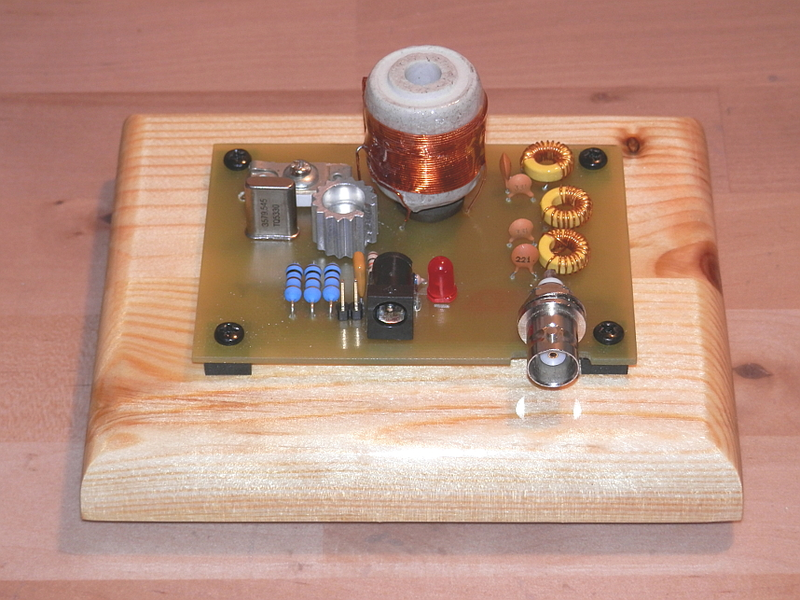 I use it with the free HDSDR software and have been listening to 12 and 10 CW and SSB. See the video above. Tomorrow I will attempt Ken's mod that will open up the other HF bands. Then I will be able to put to use a second SPRAT article about this device : Also in SPRAT 165 Tony Fishpool G4WIF describes how to use this device as a rudimentary indicating instrument for bandwidth measurements. Great stuff. Get yourself one of these devices. You will in effect be getting an all-band all-mode computer controlled receiver for $13 !!!!!!!!!!!!!! It might not be apparent, but I have it on good authority the guy with the blue face pulling the Brainwagon was saying "BASTA!" when this drawing was made, probably after an evening spent with Arduinos and their fascinating I2C libraries. While between tasks, I put a little work in on the LPF for the Michigan Mighty Mite. I will soon be ready to light this thing up. I fit everything on a copper board 3.5 X 5. I even put some non-skid rubber feet and fashioned the tank circuit for 40 Meters. The Color Burst frequency was a bit too low for a practical antenna on this small city lot so, I did the next best thing. It's like reliving those teen years, routing through boxes of misc parts and soldering them in place one at a time. The thrill involved kind of brings those days back to future. I wanting to construct a regen-receiver but, the pile in front of the solder station is urging me to continue on with the Minima. I love the variety of Mighty Mites that have been built thus far. Each one is like a painting where the artist has left their signature on their work. Keep building, Keep having fun and Keep learning. I got the Si5351 portion of the new rig going today. I used an Arduino program from Thomas LA3PNA. It is relatively barebones, without a lot of bells and whistles, but it does just what I need: it puts out a fixed BFO frequency and a variable VFO frequency,﻿ and displays the resulting transmit frequency. Thanks Thomas, and thanks to Jason, NT7S, for his work on the Arduino libraries that make this all possible. -- What antenna for Pete? In keeping with historical events, I have enclosed a few snap-shots from the 1961 Pittsburgh Press dated Wednesday, April 12, 1961. Yes, a few of us recall that very day. I had filed this newspaper in my Scrap Book back then. It was a bitter sweet thing, to read for most, as we hoped the U.S. to be first but none-the-less, we smiled anyway because, it proved a person could go into space and return. (Flight Breaks Barrier to Space Travel). I was very enthusiastic about Rockets, Travel and current events. I built my own capsule in the rafters of my parents home and spent all day up there in the tiny confines as I launched my own secret adventures into Outer-Space. Hope you enjoy the photos. I can provide a better set of copies if you are interested. Well, it has happened to me yet again: After a somewhat happy period of stubborn luddite rejection of digital technology, yesterday I decided to jump into the fascinating world of Si5351 PLL chips. I don't have to tell you who is responsible for this decision. 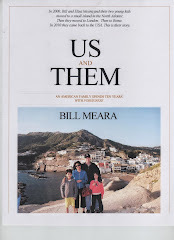 But he is of Italian descent and lives in Southern California. I'm working with an Arduino Uno board and a prototyping shield sent to me by the same Italo-Californian gentleman. The physical wiring of the Si5351 was remarkably easy -- just four connections. Wow, I thought, this is going to be easy. WRONG. Lady Ada's sketch and library compiled and uploaded without difficulty and the little device was simultaneously spitting out 125 MHz, 13 MHz, and 10 kHz energy. Pretty cool. But I got into trouble when I tried to load some of the VFO circuits out there. Most of the trouble was caused by my errors in managing all the libraries and such. But as I was telling Billy, it really seems to me that the folks who work on this stuff are using another language. And the problem is that it is a NON-HUMAN LANGUAGE. If it were French or even Chinese, it would probably be easier. But you end up getting error "messages" like "U-int-8 has not been declared!" Oh, I see. I found myself thinking back fondly to my recent problems on 40 meters with the screeching amp and the helpful ESSB guys. Ah, the good old days. So, I'm not going as far as declaring microcontrollers to be demonically possessed (remember the regens?) But I do suspect extraterrestrial involvement in these little devices. In the end, I got several of the VFO sketches working. You get a sense of how new the Si5351 VFO work is when you find yourself using code that was written last week or last month. Thanks to Lady Ada, Pete N6QW, Jason NT7S, Tom AK2B, and Thomas LA3PNA. All of these folks are doing great work, moving the radio art forward (even if they are working with ET). In celebration of Cosmonautics Day, Russian ARISS SSTV activity is planned for the second week of April. Cosmonautics Day celebrates Yuri Gagarin’s famous flight on April 12, 1961 becoming the first human to reach space. The SSTV event is planned for Saturday, April 11, beginning at 10:00 UTC and continuing until 21:00 UTC. All transmissions will use the high resolution SSTV mode PD180. Transmissions will be at 145.800 MHz. If similar to past events, 12 different photos will be sent through the weekend with 3 minute off periods between transmissions. To receive the images in real time, all that’s required is a 2 meter radio receiver and a computer to convert the receiver’s audio to image form. The software to do this is available as freeware on the internet at sites such as http://hamsoft.ca/pages/mmsstv.php. Received images can be uploaded and viewed at the ARISS Image gallery found at http://www.spaceflightsoftware.com/ARISS_SSTV/index.php . Please be advised that situational demands on crew time could result in postponement or cancellation of any ARISS activity. Please pay attention to the possibility of any change in scheduling. Back in 2009 Wes Hayward and Bob Kopski designed a termination insensitive amplifier block for use in BITX-like transceivers. Farhan urged me to use it. The advantage of this design is that the input impedance stays at 50 ohms no matter what you hang off the other end. That's very helpful, especially when you start trying to get specific impedances at the ends of crystal filters. I'm planning on using this circuit in my next BITX. This morning I was playing around with it in LTSPICE. The "mirror" feature in that program is quite helpful when you are working on circuits like this! I had a nice QSO with Duke, NA1A, out there in Irvine, California on Sunday. Duke has a deep interest in the quality of SSB signals -- he is part of the ESSB group. So I was pleased when he said my BITX 17 sounded good. He recorded a little bit of my transmission. Click below to listen to the BITX 17 tran-continental, with some help from my CCI amplifier (120 W PEP) and my 17 meter Moxon antenna. 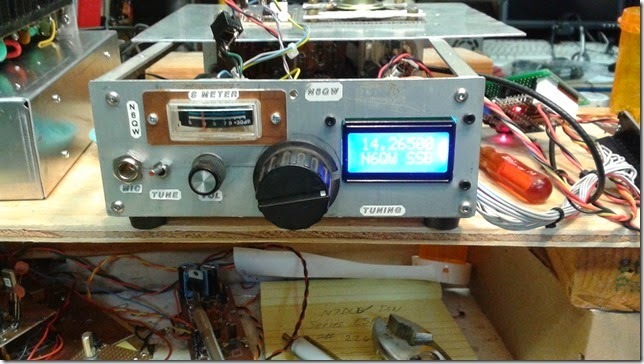 A few days ago I shared an e-mail from John N8RVE on his re-build of the SW-40. John used a "Muppet" board, Muppet being a combination of Manhattan and Ugly techniques. But there is nothing ugly about it really. I joked in the title of the blog post that the beauty of this technique is almost enough to get a homebrewer to abandon the Manhattan technique. Now, I was born on Manhattan island, and I went to Manhattan College, and I have been using the Manhattan technique for many years, so there is a lot of homebrew inertia at work here. But that SW-40 looked good. John mentioned that Chuck Adams K7QO has a series of YouTube videos on how to make Muppet boards. This morning as I waited for the bands to open up, I decided to take a look. Wow, they are really great. I couldn't stop watching them. I kind of "binge watched" the whole series. Chuck Adams is a really great teacher. There are lots of great homebrew tips in those videos, and not just about the boards. I NEED one of those new G3UUR crystal testers, the version that also gives you ESR! I WANT a laminator, an infrared thermometer, some Krylon clear, and pool chemicals! And a harmonica reed tuner! I've been sort of planning my next rig. It will be a version of the BITX. But having recently built two BITXs using the Manhattan technique, I kind of feel the need to do something different. I am planning to use some different circuitry (termination insensitive amplifiers) and MAYBE an Si5351. Perhaps plug-in filters. But now I want to also move forward in terms of building technique. I want to Muppet! 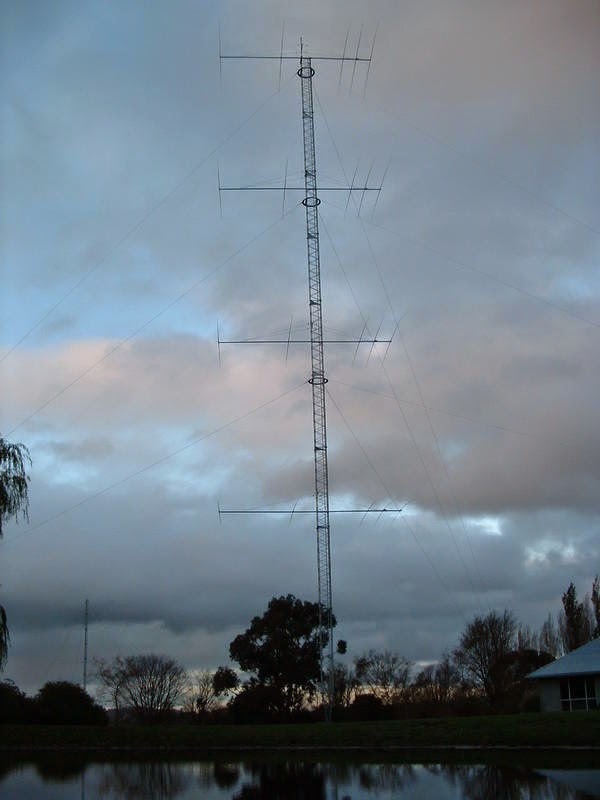 VK3MO's 20 Element Monobander for 20 Meters! Ian VK3MO was booming in from Australia this morning. No wonder: he has a 5 over 5 over 5 over 5 array on a rotatable tower. He can get a 3 degree takeoff angle with this antenna and I think I heard him say that he is working on another so that he can get a one degree takeoff angle. He was also using a using a Collins 30L1 linear. 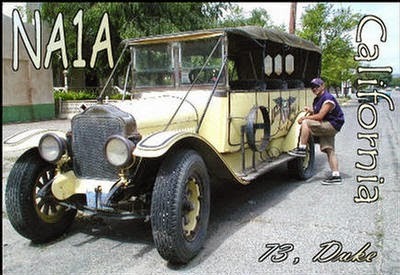 Lots of soul in that old machine! At one point in our QSO, I turned off my .12 kW amplifier. He said I was still 58-59 with 3-4 watts. And Ian is a homebrewer! 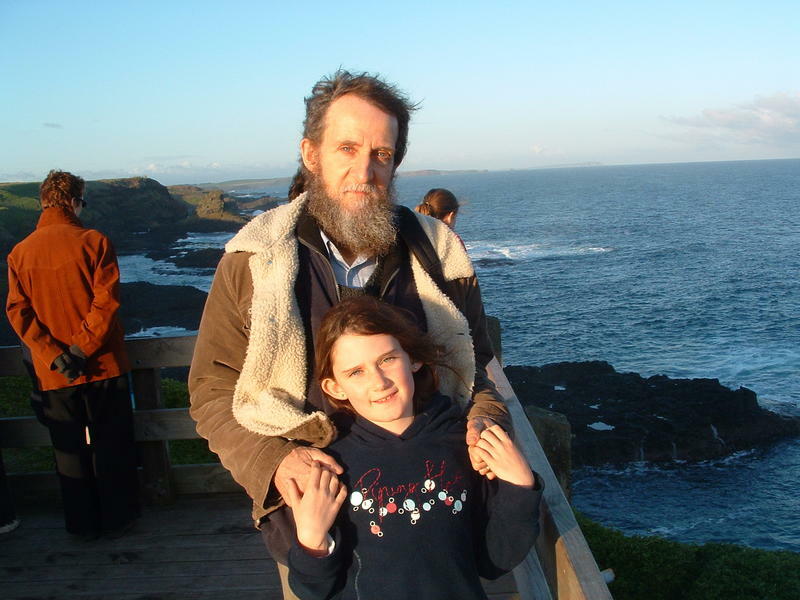 He has built a number of transceivers and has another one in the works. I told him about the BITX and he printed out Farhan's article (to read later). He tells me that he has heard Peter Parker, VK3YE, on the air. 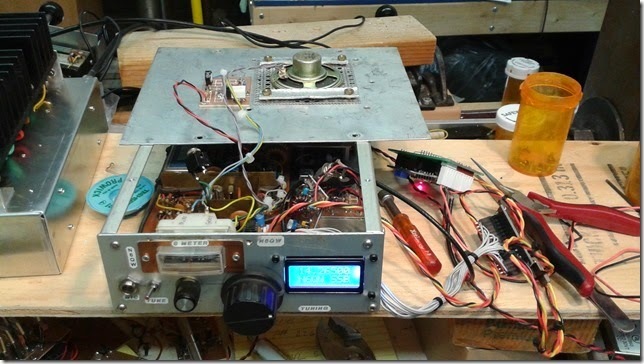 In this QSO, Ian was using a modern commercial rig, but wouldn't it be great if we could get him to connect a homebrew sideband rig to that big antenna. Go for it Ian! As I mentioned in the last podcast, we've been in some pretty serious negotiations with a new sponsor that I think is going to bring some MAJOR changes to the podcast. Most hams DO NOT build their own gear.... but many seem to feel vaguely guilty about this. They seem to react with unease when they encounter a ham using a homebrew rig. They grow defensive and scornful. The jealousy is quite palpable. Obviously there is an exploitable niche in those sentiments! 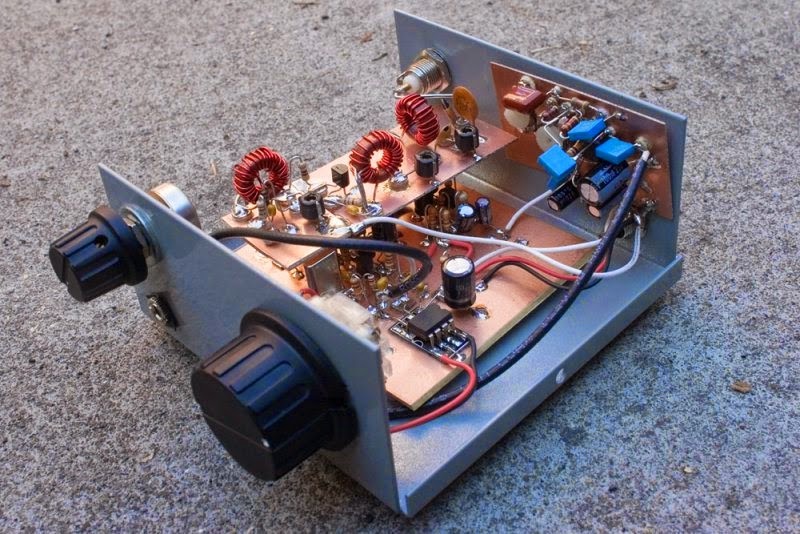 Other hams say that they really want to build their own gear, but don't know anything about electronics (even though they are Extra Class -- how did that happen?) and they don't really want to learn. Some hams say they would really like to build their own gear but find parts of the process quite distasteful. Like winding toroidal coils. Or reading schematics. And then there's all that soldering! But they insist that in spite of all this distaste for actual building, they really DO want to join the ranks of the homebrewers. So.... Homebrew 4 U is developing a FANTASTIC product line that meets the needs of these guilty, busy, knowledge-free, toroid hating, solder-averse homebrew wannabes! -- They will drift a bit. Not too much, but enough to provide you with the chance to mention that your "rig" is "homebrew." Prepare to be envied my friends! -- The frequency readout will be set up to put you automatically on "wrong" frequencies. Like 7.162.025 instead of the "correct" 7.162.000000000000000000000000000000000000. Again, another opportunity to gloat. Pretty neat, huh? -- The audio quality on SSB will be SUPERB. EXCELLENT. This will provide some wonderful opportunities to compare signals with the Enhanced SSB gang. Yours will sound as good or better than theirs, and you can follow-up by telling them that you are using a Radio Shack electret mic element, a one transistor mic amp, and NO EQUALIZER. They'll love it! 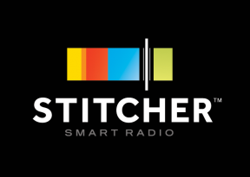 REALLY BUILD OPTION: For those wanting to enhance the truthiness of their on-the-air homebrew experience, for just a few dollars extra, H4U will leave one part UNCONNECTED. You will then be able to make that critical final connection (don't worry, it won't be a toroid, and the connection will be via alligator clips -- if you've gone this far we know you don't own a soldering iron!). You will thus be able to tell your envious interlocutors about the happy day when you "finished" your radio. I mean rig. You know what I mean. 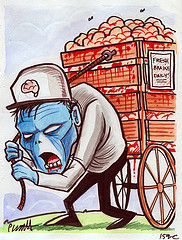 Pete is heading out to China this week to supervise the manufacturing (I mean the homebrewing). Thanks Pete! Skype in OM! So remember, the roll-out is set for April 1, 2016. Watch out Yaesu!